More than 200 arrested as Macron orders the police to quash the protests. This protest is not as large as the previous one, last week and although an estimated 36,500 participants across the country they were smaller than those in weeks past, but considerably more violent. According to the French Interior Ministry, last week about 53,000 protestors participated, and there were about 113,000 the week before. 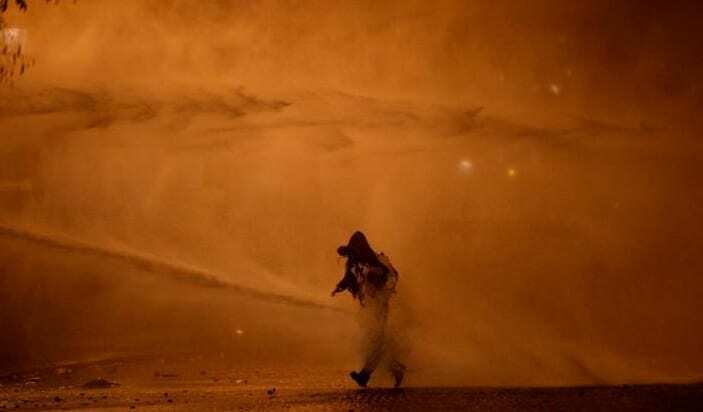 This week the demonstrators came prepared and put up barricades in the surrounding areas, smashed some car windows and set alight dozens of vehicles, including a police car. A nearby restaurant was also set on fire. In last weeks protests, the French police used heavy-handed techniques to quash the protestors and were criticised for their misuse use of police power. However, with G20 summit taking place in Buenos Aires, the French president is eager to quash this movement sooner rather than later. The president said on Tuesday he understood the anger of voters outside France’s big cities over the squeeze fuel prices have put on households but insisted he would not be bounced into changing policy by “thugs”. On Saturday, some targeted the Arc de Triomphe and other monuments.Rising fuel prices are largely attributed to a leap in the wholesale price of oil. Brent crude oil — a benchmark for worldwide oil purchases — increased by more than 20% in the first half of the year, from around $60 a barrel to $86.07 in early October.But the protests have evolved into a broader demonstration against French President Emmanuel Macron, his government and tensions between the metropolitan elite and rural poor.